For only $499.00 we can provide you with a customized, online, instant cleaning service Quote Generator installed on your website. 2. Finalize your company profile: services, and price structure. Start using Cleaning service Quote Generator. 3. After the trial period, if you wish to continue to use Quote Generator, you must place an order. 4. You need to pay for the software. 5. Enjoy to having your own Quote Generator software. Instant online quote emailed automatically to you and to your customer. Availability calendar in real time . Your customer starts with answering all the questions on your website, these are the same questions you would ask over the phone if they called. The form is calculating every input and gets a price. Once that's done the customers go to the last questions about their address, phone number to reach them, etc. In the mean time the quoting system is emailing the customer their quote and you will get a copy as well. Customer has just finished the entire quoting and ordering process all while taking none of your precious time, and because the typical customer is busy they will enjoy doing this on their computer or smart phone while not feeling hassled. It's a win win! 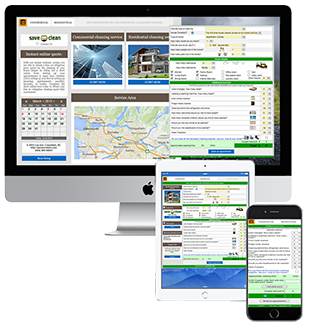 Quote Generator Plus is local to the Greater Vancouver area; however, our online presence makes us available to the entire business world.